The wooden fixtures, furniture, and accents within your home are uniquely beautiful. The natural warmth and grain of wood features is unsurpassed by any other building material. At RVA City Painters, our Richmond wood staining experts can help you embolden and preserve every wood surface in and around your property. Call us today if you need to hire a professional Richmond painting contractor who provides interior and exterior wood staining services. Our courteous and polite painters would be happy to take your call and to answer any questions that you may have. Our wood staining experts are here to assist you with all your needs, from cabinet staining to deck staining. We'd be happy to schedule your appointment today! The wooden fixtures and accents of your living spaces are integral to your interior decoration scheme. Cabinets, built-ins, and trim work are often the focal point of the room. After years of use, these features can become faded and damaged. Our wood finishing experts specialize in interior wood staining in the Richmond area. We have the delicacy and skill necessary to repair and re-stain the most intricate trim and wainscoting. Our professionals can also rejuvenate the original beauty of your kitchen cabinets with our staining expertise. We can improve, protect, and preserve wood shelves, bookcases, wood blinds, and built-ins for you. After our wood staining services, your property will look dramatically better. You and your family will thoroughly enjoy the renewed appeal of your living spaces. Your wooden fixtures and accents will be protected for many years to come. Call us today to learn more about our interior wood staining options as well as any other painting services in Richmond you may need. The ultimate wooden feature of any home is the deck. Your deck not only complements the look of your property's exterior, but it is also provides your family with boundless enjoyment opportunities. In order to make the most of both of these attributes, you must keep your decking in the best condition possible. 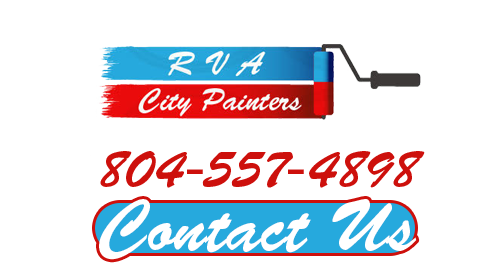 At RVA City Painters, our Richmond wood staining contractors are here to help you in this regard. We can clean, strip, repair, and stain your deck for you. In the process, we can restore a dilapidated deck to its original appearance. 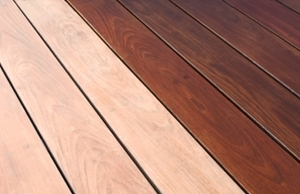 You are guaranteed to be satisfied with the results of our deck staining services. If you have a privacy fence on your Richmond property, you know how great it looked when it was first constructed. If it has faded over the years, you should consider having it cleaned and restained. Our Richmond painting contractors can assist you will both of these efforts. You may be able to add years of useful enjoyment to your wood fence with our staining and wood sealing efforts. If you are interested in an estimate for wood staining in Richmond, please call 804-557-4898 or complete our online request form.